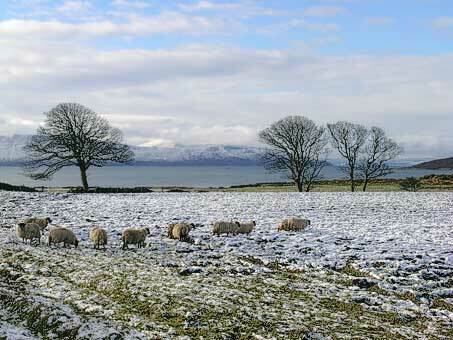 Isle of Bute - I love Bute! 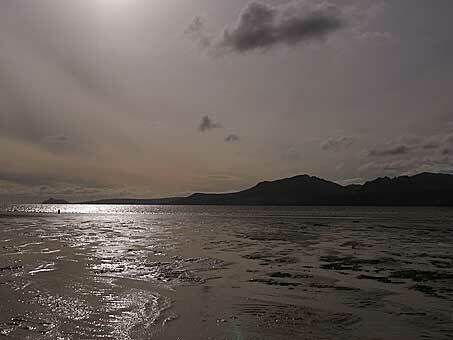 The Isle of Bute, in the Firth of Clyde, is only 15 miles long and 3 miles wide. 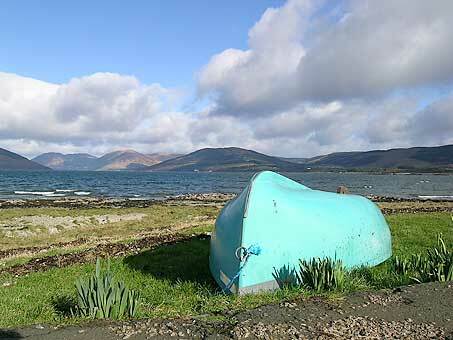 Bute is separated from the mainland of Scotland by a narrow channel called the Kyles of Bute. 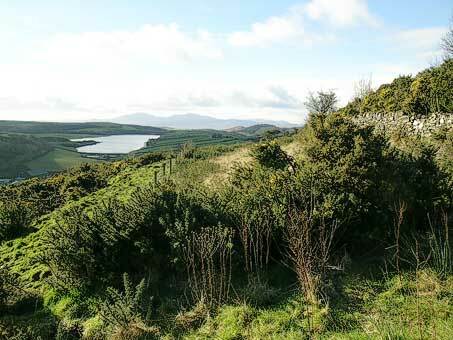 Much of the island consists of low hills, more reminiscent of Dorset than the Scottish Highlands. The south of the island is flatter than the north, and more fertile. Bute benefits from the warm Gulf Stream that enables palms and other tender plants to grow. 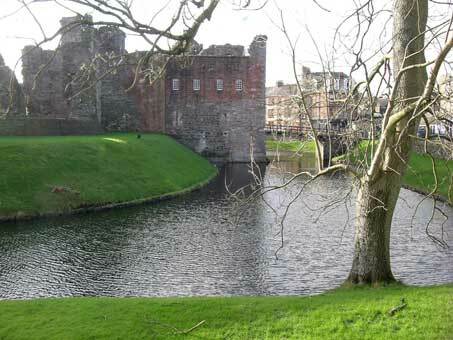 In its heyday the Isle of Bute, and Rothesay in particular, was a magnet for tourists from Glasgow. There are two ways to get to the Isle of Bute from the mainland, either by ferry or ...... by ferry! 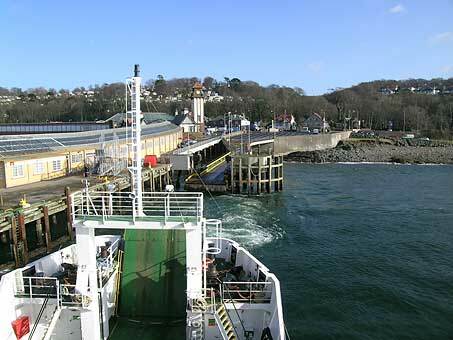 The ferry crossing from Wemyss Bay to Rothesay takes 45 minutes and is a 'proper' sea crossing. The ferry from Colintraive on the mainland to Rhubodach (Rubber duck?) is hardly a crossing at all and takes barely 5 minutes. It's so narrow that at one time cattle were made to swim across from the mainland. 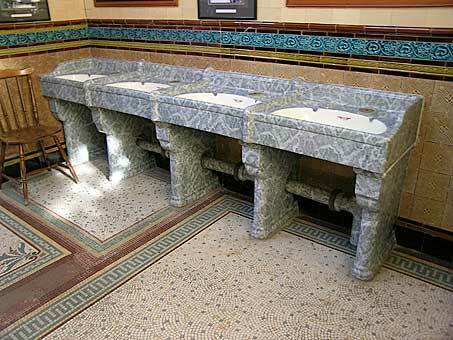 When you visit Rothesay, once a spa town, you must visit the gents' Victorian toilets on Rothesay Pier, even if you don't want to go! Small admission charge. They have been described as 'jewels in the sanitarian's crown' and 'the most beautiful in the world'. Ladies can be given a guided tour at quiet times. 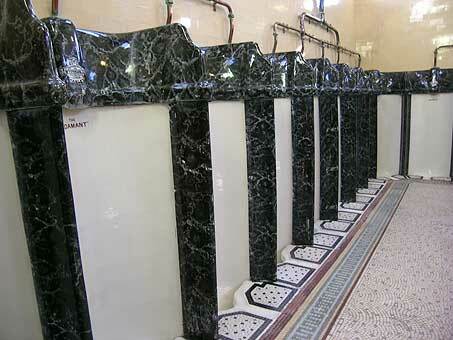 With the exception of the cubicle cisterns all are original fitments dating from 1899. One day all public toilets will be like this. Maybe not! 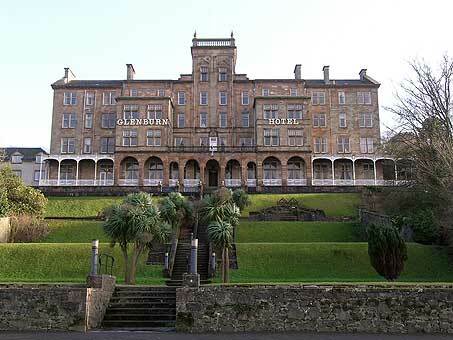 The Glenburn Hotel (a Shearings Hotel) is the island's largest and affords panoramic views over Rothesay Bay. 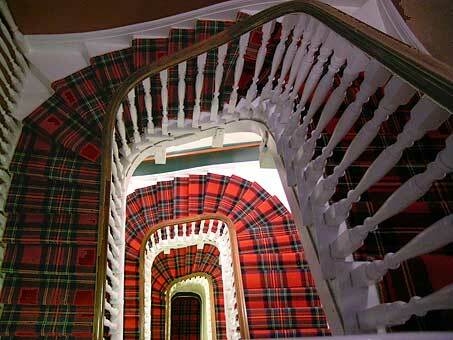 It blends in well with Rothesay's many gracious 19th century buildings. 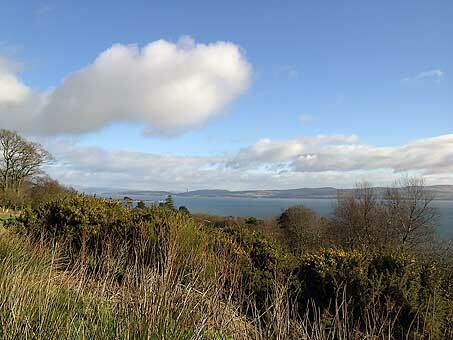 Canada Hill (follow the sign's for Rothesay's golf course) gives stunning views over the Kyles of Bute and the freshwater Loch Fad that almost cuts the island in two. Rothesay has a number of Zavaroni cafes. The town was the birthplace of Lena Zavaroni, a child star who found fame after winning TVs Opportunity Knocks in 1973 but died tragically from Anorexia Nervosa in 1999. All roads lead to Rothesay! The 8 pictures in the following two sequences are taken in an anti-clockwise direction on Bute's west coast, starting at Glecknabae in the north and ending at St. Blane's Church in the south. There are chambered cairns (burial monuments) at Glecknabae and Kilmichael. The surfaced road ends at Glecknabae. 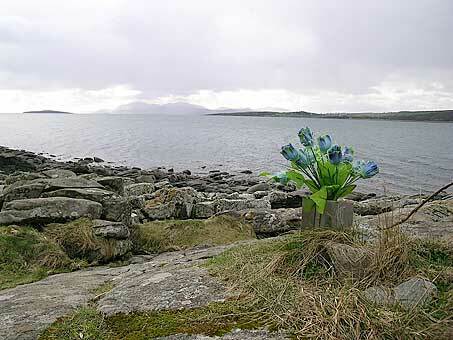 Continue walking along the track (1.8 miles) to reach Kilmichael and its chambered cairns . Quiet beaches abound. 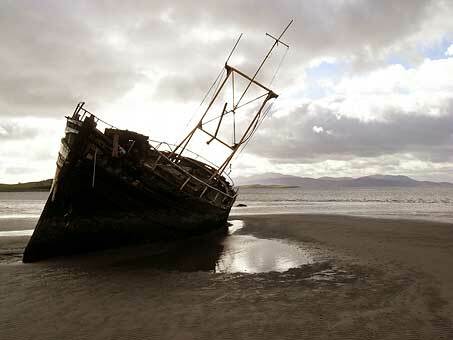 Those on the west of the island include Ettrick Bay and St. Ninian's Bay. St. Ninian's Bay is a horseshoe bay and there's a 6th Century chapel at St. Ninian's point. 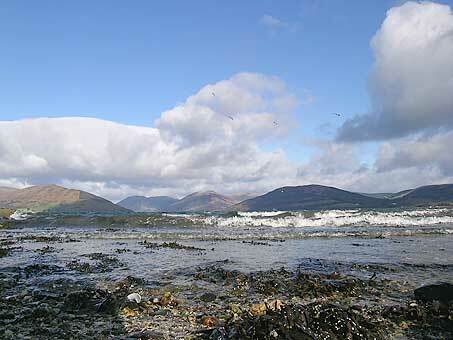 Scalpsie Bay, south of St. Ninian's, is a good beach for viewing the local seals. It's a fairly easy stroll up Tarmore Hill. 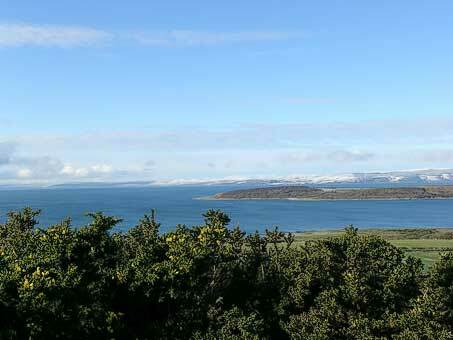 The summit gives excellent views of Arran and Scalpsie Bay. When we visited Scalpsie Bay there were only three others there, and they were all seals! Sallan Port overlooks the tiny, uninhabited island of Inchmarnock. 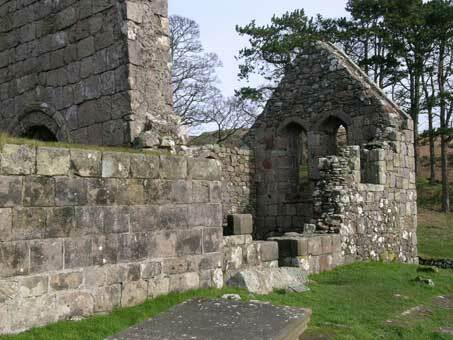 The island has a ruined chapel that was dedicated to St. Marnock. St. Blane's Church is at the southern end of the island. 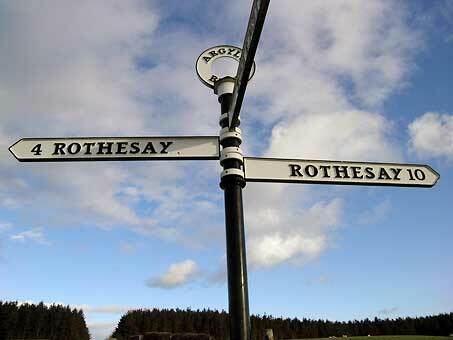 The road ends here, but it's still only 8 miles from Rothesay. 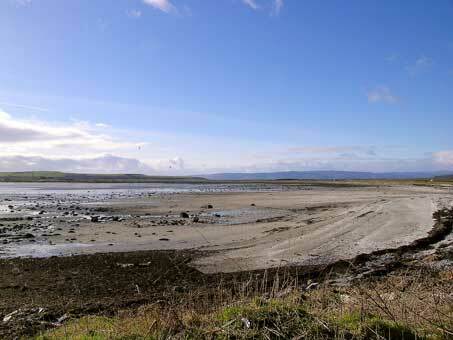 St Blane was born on Bute in the 6th century. This is a monastic site containing a 12th-century Norman church. 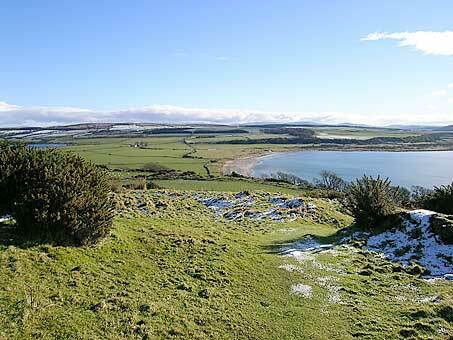 It's a peaceful spot overlooking the fort of Dunagoil and the Sound of Bute, with breathtaking views of Kintyre and Arran. 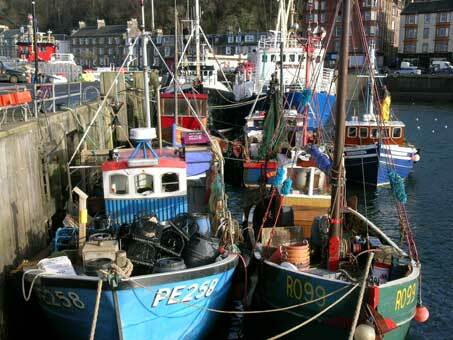 Notable festivals in Bute:- A Jazz Festival is held in May and a Folk Festival in July. August is a lively month in Rothesay, beginning with the Summer Show of the Bute Agricultural Society, followed by the Highland Festival and the Bute Highland Games. We visited in February, travelled every road and had much of the island to ourselves. Heavenly!